The primary objective of creating a presence on the internet is to increase awareness about a venture and it can be only achieved if the website has good visibility among users. There are top website analysis tools available in the market which evaluate the performance of a business’s virtual presence on a number of parameters and then present a report that helps in taking the necessary steps to improve its performance. Here is a list of some of the best tools that can be employed for the purpose. Woorank is a website auditing tool that comes with a 14-day free trial after which the service can be accessed by choosing any of three available paid plans. The inbuilt keyword tool tracks position, SERPs and competitor rankings of more than 50 terms in the entry level plan and the cloud based software generates a personalized marketing checklist that can be used by the owner for optimizing the website. The product also provides reports on site traffic, social media performance, mobile responsiveness, usability , local directory listings and server optimization. All the reports and presentations can be downloaded as PDF files and personalized with a chosen logo and colour scheme. It is a completely free auditing and reporting tool that conducts a comprehensive examination of all the metrics affecting SEO along with providing a list of recommendations that can improve the performance of the website. The service also includes tools for keywords, meta tags and sitemap generation in addition to URL shortener and broken link checker. The reports can be customized with chosen colour scheme and branding apart from printing the PDF files in about 8 languages other than English. There is no need to access the website of the service and the tool can be embedded in the virtual interface of your company and generate leads straight from there. The Screaming Frog has an incredibly powerful SEO Spider site crawler that lets a user crawl the URLs and collects vital onsite data regarding broken links, redirects, page title, metadata and duplicate content which helps SEO professionals in making the relevant modifications. The product is available in free as well as paid versions which can be integrated with Google Analytics and also generates sitemaps. It is a very advanced tool and the only drawback that can be mentioned is that it needs a fast and modern system to perform optimally. The next entry on our list of top website analysis tools is Seo Site Checkup which is very popular among webmasters and tracks 30 SEO variables and generates a weekly report with a facility of notification whenever there is a change in the scoring. Apart from general SEO factors, it also analyzes load-performance related issues and also the hosting and security characteristics of a website. It has a very convenient dashboard that lets a user access reports and all tools at one place in a single click. Apart from this, the product is also useful in evaluating the social media engagement and mobile friendliness. Available in 4 pricing plans, Site Analyzer evaluates over 70 data points arranged in 5 categories, for presenting an overview of the performance of a website. 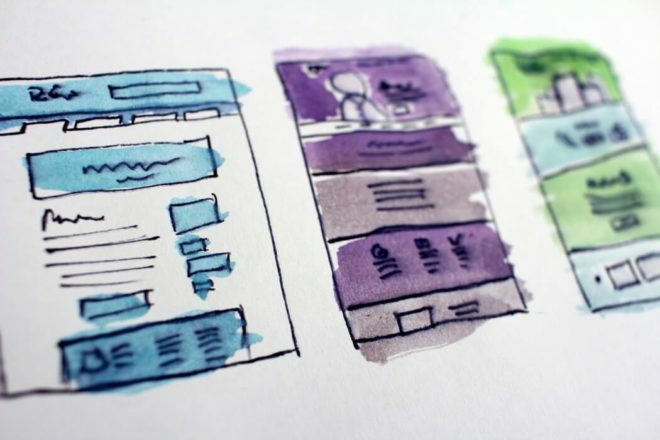 In addition to the usual data about download time, URL optimization and mobile compatibility, the service also checks the design for presenting an assessment on the implementation of HTML and CSS elements. This feature is very helpful for any WordPress Designer company as it gives an idea about the expected performance of the chosen design scheme for a website. Track your rank, get a detailed backlink profile and in-depth on page analysis of the different pages of your virtual interface rapidly with this convenient service. A paid product, SE Ranking is great for on page SEO audits, tracking keywords, checking backlinks apart from generating high performance keywords. A user can sign up for any of the four paid packages and set a rank checking frequency ranging from daily and every three days to weekly. It has an intuitive interface and the product can be banked upon for conducting a very efficient competitor research. The social media engagement analysis feature is also impressive with a scheduling feature that lets users auto posts their updates on various networks. SEO agencies love this paid product which can be embedded in a website in order to generate more leads with the service notifying its premium subscribers through email whenever a new lead comes up. MySIteAuditor is available in more than 15 languages and can be used for assessment of any specific page for a chosen keyword of your own as well as a client’s online interface. The service boasts of completing an audit of any website in about 30 seconds. A user can use anyone of these above mentioned top website analysis tools for making a comprehensive evaluation of the overall performance of a website and take corrective measures in order to generate high returns on investment. Brandon Graves has a great expertise in WordPress web design services working with HireWPGeeks. He has an excellent command on PSD to WordPress theme conversion services, theme customization, Plugin development, email marketing etc.